IPKO Foundation is delighted to offer its financial support to TEDxPrishtinaWomen in an effort to positively influence the society we live in, as well as offer the community the chance to listen to inspiring stories and promote change. TEDWomen 2015 is a TED event that focuses on women and women’s issues. In the spirit of ideas worth spreading, TEDx is a program of local, self-organized events that bring people together to share a TED-like experience. At a TEDx event, TEDTalks video and live speakers combine to spark deep discussion and connection in a small group. TEDxWomen events are local events on the same day as TEDWomen. 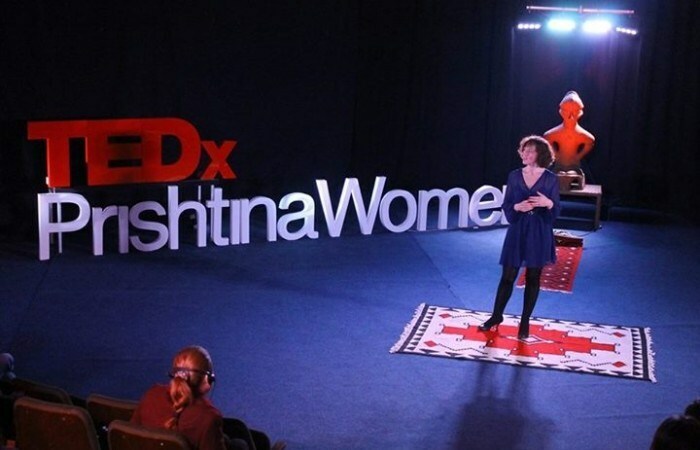 TEDxPrishtinaWomen aims to showcase the achievements of women who are innovators, great thinkers, and taboo breakers. On this year’s event, speakers will give talks on a diverse range of topics on the theme of ‘Momentum,’ while sharing their ideas, experiences, and knowledge. The event will be held on May 28, 2015 in Prishtina, Kosovo. IPKO Foundation is proud to continue to have a say on the engagement of citizens by promoting means of sharing ideas worth spreading. We hope that such events will continue to have a positive impact on the community.